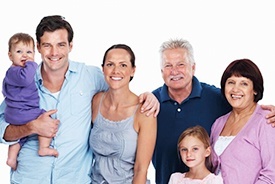 Dental insurance is a helpful tool that can assist in reducing the cost of certain dental procedures. Choosing a dentist in your Aetna network allows you to receive the best coverage available, while also maximizing your benefits. You will find that you receive the most coverage for your six-month cleaning and checkup, or preventive appointments because dental insurance focuses on prevention, unlike medical insurance that you utilize when you’re sick or injured. In fact, when you choose to work with Dr. Mears your preventive visits are covered at 100%, which means there is no out-of-pocket cost to you. 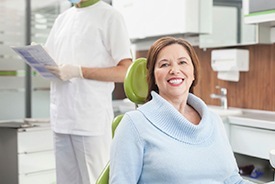 Routine preventive visits help you to avoid many bigger and more costly dental procedures if you are consistent about visiting your Aetna dentist in Arnold every six months. There are actually certain procedures such as root canal therapy that can be avoided by being proactive about treating tooth decay. When you eliminate tooth decay with treatment such as a simple dental filling, it will help prevent an infection from developing in your tooth that would require a more invasive treatment such as root canal therapy to restore it to back to health. Your dentist can detect tooth decay early on in during your six-month examination. Preventive care, or dental cleanings and checkups are covered at 100% in your network, which means that there is no out-of-pocket cost when you visit JL Dental every six months. Most plans have a yearly maximum, which is the most benefit dollars that your plan will pay for treatment during the year. This amount typically ranges between $1000 to $2000. The more you understand your Aetna dental insurance benefits, the more it will help you maximize your benefits during the coverage year and get the treatment you need in a timely manner while comfortably fitting it into your budget. If you have questions about your Aetna benefits, we encourage you to talk with Gay. 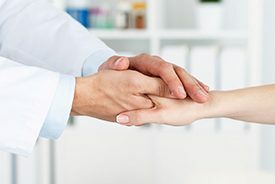 She is experienced in dealing with all types of insurance plans, and she will ensure that you understand your coverage so there are no surprises when it comes to your out-of-pocket cost for treatment. Gay will also help you maximize your insurance benefits during the coverage year so you can get the treatment you need when you need it most. Give JL Dental a call today to talk with Gay and learn more about your Aetna insurance benefits and how we can help you!